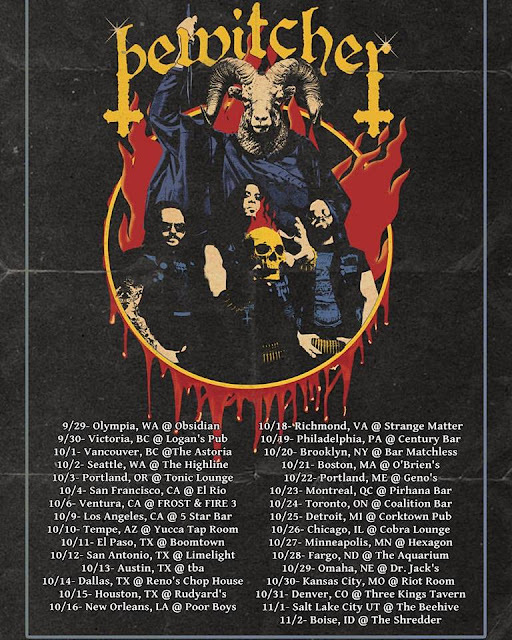 Bewitcher: the Portland based black speed metal trio Bewitcher have announced their first full-scale tour of North America. The 30+ date run is in support of their 2016 self-titled debut album, which was released to high praise from fans and critics alike. Bewitcher's debut album is still available on LP, CD, and cassette via Diabolic Might Records, Divebomb Records and Graven Earth Records respectively, as well as through the band's Big Cartel and Bandcamp pages. 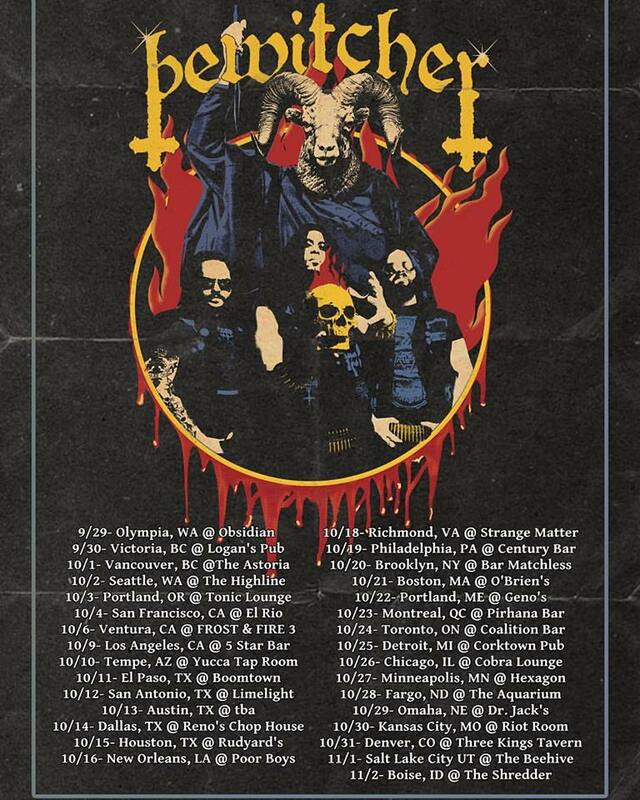 The 'Speed Til North America Bleeds' Tour runs from September 29th to November 2nd, including an appearance at the prestigious Frost and Fire 3 fest in Ventura, CA. For more information and updates, follow the band on Facebook and Instagram @bewitcherofficial. Check out below all the tour dates and make sure to catch'em on stage!